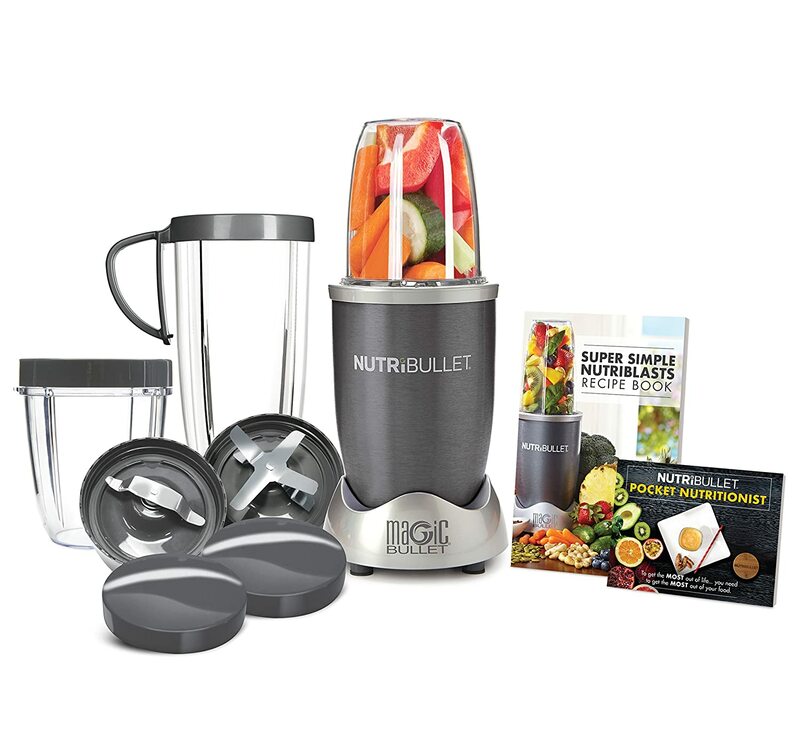 Do you love to make easily-consumed, delicious and healthy fruit smoothies or veggie soups? But, don’t you have enough time or having trouble slicing, grinding, grating, whisking, grating and preparing the ingredients to make it? Well like another foodie out there. Yes? I know, it’s a bummer. If “Yes” is your answer, then a Blender is probably the best powerful kitchen tool that you should include in your kitchen repertoire and definitely, a must-own tool. It’s time for you to level up your blasting and mixing. In this article, we would share our top 5 best-pick blenders that are smoking hot in the market and you should definitely own one right now. Why worry for overpriced blenders when you can surely afford high-quality and game-changing blenders for just under $100. But before we go to the list, I will share some ideas on how to choose the Best blender to guide you before obtaining one. How to choose the best Blender. 1. How to use a blender? 2. Choosing the proper blender type. Blender wins over Juicer and Food Processor. 1. Blenders versus Food Processors. Common Blender problems that you should know and how to avoid it. 5 Best Blenders under $100. The lid must be tight and perfect fit: Splattering is the most common problems in using bargain-counter and even in fancy blenders, so a good blender should have an easy-to-open and perfectly fit lid as well as safe for dishwashers during sanitation. Must have a removable plug or pour spout: It can make it easier to put ingredients for things like paste, jelly or cream soups. Must have a secure base: Wobbly blender can affect the efficiency, performance and the durability of the blender. It will usually cause the process of blending to take too much time. Must be Flexible: The best blender should do a wide range of mixing, blending and chopping jobs. It should have powerful motors and fast-spinning blades to ensure the quality of what you’re mixing. It is very important to check the material used in every blender whether it made up of heavy-duty plastics or polycarbonate materials. Must have a good warranty: Blenders with one-year standard warranty is a must, to ensure its durability. It will also provide you contacts to the nearest manufacturer for any damage components or any replacements. A blender is a powerful kitchen tool that is usually used in transforming different ingredients into easily-consumed foods like smoothies and soups. If you’re just looking for basic blending jobs, you might want to invest in an inexpensive blender, but if you're involved in mass blending, heavy-duty blenders might be the best choice for you. Modern blenders have now the ability to automatically do other kitchen tool tasks like grating, slicing, and whisking, so buying one can literally save time, money and effort. Experts suggest that using inexpensive and good blender will do the job for occasional blending for soups, smoothies or milkshakes. But if you’re planning to blend on a regular basis, you might want to use a more powerful model. Single-serve blenders can normally serve 2 cups or less and it allows you to drink straight from the blender pitcher, so there’s would be less clean-up. While if you’re blending for drinks for parties or family gatherings, Full sized blender is the best choice for you, it can hold anything from 5 to 9 cups. Most blenders are designed to be shorter as 18 inches and that is the standard space between the kitchen countertop and the cabinets. Storing the blender in a cabinet is a good practice to avoid any wreckage and maintain its durability and performance. Blender is now frequently seen on kitchen counters, it may be a fixed-base type or handheld type compare to food processors. 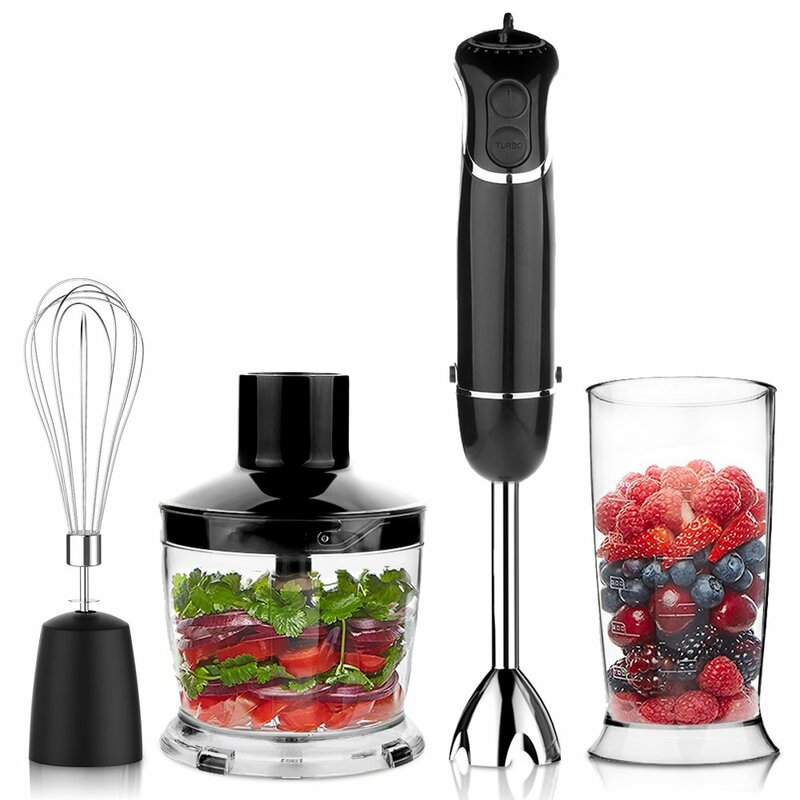 Modern blenders offer a wide variety of grinding, slicing, grating and whisking jobs for creating recipes, purees and juices ingredients, sauces or dips for pasta, crushing ice, milkshakes, smoothies, cocktail drinks and much more. It is the best tool to transform ingredients into easily-consumed food. Blender and Food Processor can both do shredding, chopping, and grating. However, kitchen chefs prefer to use a food processor when turning both solid and liquid food at the same time. Although, the blender can have the equal efficiency to a food processor. Blender can definitely do what food processor can’t do. Blender can turn a whole fruit into liquid just like juicer but the only difference is juicer has filters or screens to remove any pulp or residue from the mixture. The juicer is great for juicing any type of fruits alone while blender cannot have the same efficiency as a juicer but it is a good choice if you’re preparing drinks or smoothies for larger crowds like parties or family gatherings. Here’s a video: What’s the difference between a blender, juicer, and food processor. Inefficient usage of the blender can affect its performance and durability. The problem may include dull blades, cracks, and motor overheating. To avoid any of these issues and to ensure its efficiency, here are some of the safety tips when using blending. Remember to register that blender: Do not forget to register your blender or any appliance to your reliable appliance stores to ensure its warranty. Read the manual: Some of us might forget to read the manual mainly because it’s boring and it can be a bit tedious. Reading the manual can tell you the safety features and know the proper ways on how to use the blender. Unplug the blender if you’re not using it: It will save electricity and prevents from any unexpected accidents like overheating that can lead to severe problems like explosion and burns. Do not use a blender too long: Overusing the blender can affect its durability specifically the motor and blade component. It can also cause the appliance to short circuit. Clean the blender after use: Cleaning the blender pitcher as well as the blades using hand wash or dishwasher can prevent the bacteria to build up that can contaminate any future mixing and can cause the foul smell to the appliance. Be careful with hot liquids: Pouring any hot liquids or ingredients can blow off the lid and splatters the whole mix. To avoid these, it’s better to put the motor on the lowest speed with the tube cap off to let the steam escape. Store your blender in a safe area in your kitchen: Maintain a clean kitchen environment to avoid any accidents and don’t let your children use a blender on their own without direct adult supervision. 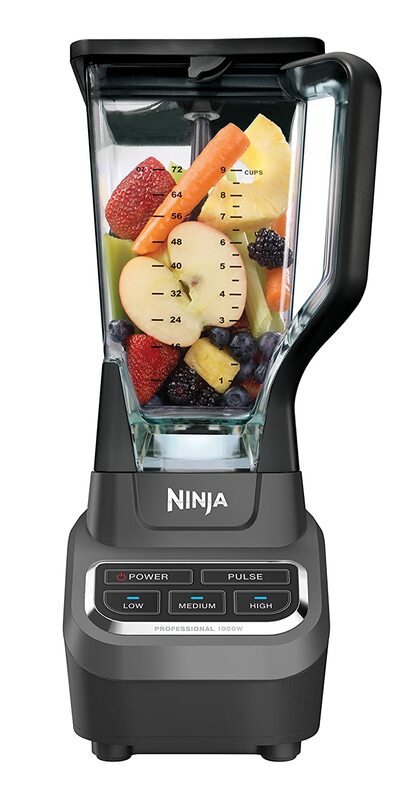 If you’re preparing drinks, smoothies or milkshakes for the large crowds or for parties, as one of the best reviewed-blender on the market and manufactured by SharkNinja, the Ninja Professional Blender (BL610) is the best choice for you. It features a modern glistening black design and working its best performance with 100 watts of efficient power. Innovated with specialized powerful Ninja Total Crushing Blades perfect for pureeing, ice crushing and controlled processing of any kinds of ingredients. 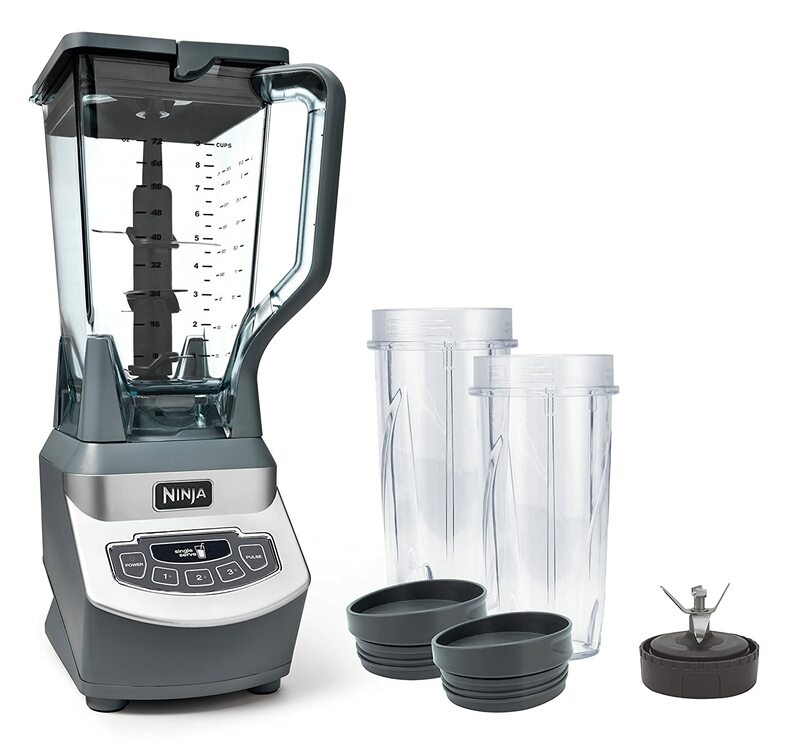 The Ninja Professional Blender (BL610) is also perfect for making milkshakes, smoothies, cocktail or any kind of drinks with its massive XL 72 oz. professional blender pitcher, you might satisfy the crowd during parties or any other kind of occasions. Perfect for preparing a medium to large batches as well as smaller batches. You don’t have to worry about bacteria building on your blender because it was made with the safe Plastic material, weighing 7 pounds, BPA free and dishwasher safe components. Another top-rated product on the market right now. The powerful hand blender manufactured by OXA USA COM is perfect for making chunky salsa, cauliflower rice, guacamole and more. Running with its 300-watt professional power. With 2 speeds + turbo and 500ml food processor, you can make amazing and delicious recipes. It provides secured grip with its rubberized handle and lightweight yet sleek design. 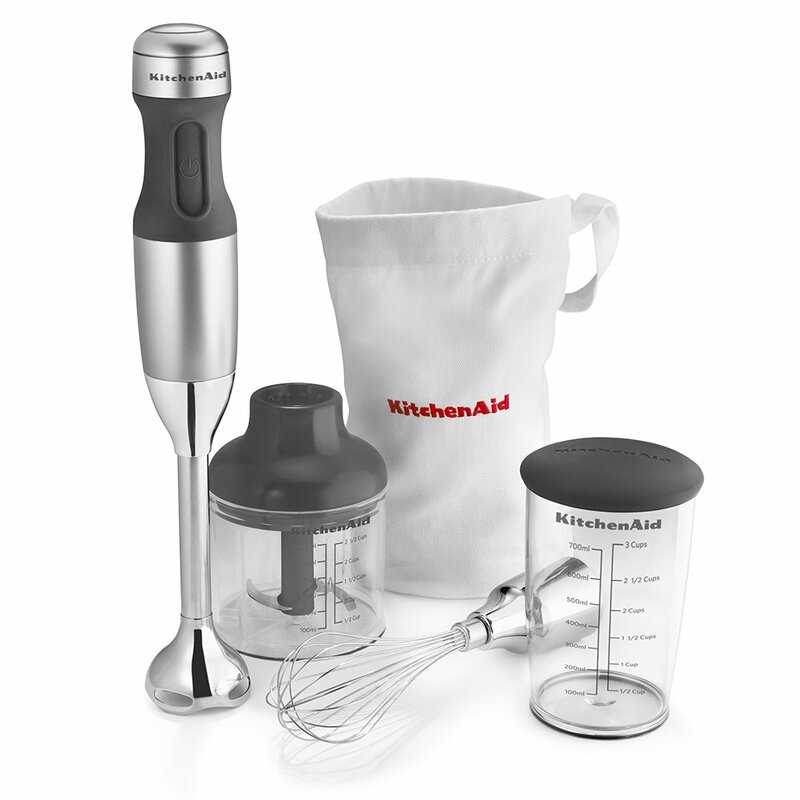 The item is made with includes a 600ml beaker, whisk attachment, plus splash guard to prevent any messy splatters. It is also dishwasher safe and BPA free. Get your favorite recipes and start using this 500ml Mini processor bowl now! With its super sharp and powerful blades, it is perfect for any chopping, slicing, grating or whisking jobs and on any kinds of foods whether its dry, wet or even frozen vegetables, leaves, nuts, and fruits. It is also perfect for pureeing ingredients for creamy sauces, salsas, dips and more. Blending is never been so easy with its motor running in 300W! You can chop, slice whizz and blend any type of ingredients in seconds. You don’t to worry about any messy splatters and though cleaning anymore. All the detachable parts, beaker and processor bowl are BPA Free and dishwasher safe. Blending can be easy with the included 600ml beaker and stick blender. Blending hot liquid is not a problem anymore, the blade mechanism is made of high-quality stainless steel and durable blades that will last for years. If you’re struggling to get the right consistency of what you’re mixing like creams or egg whites, worry no more. Use the included whisk to get the job perfectly done. Chopping ice takes too long. With this blender, you can pulverize any kinds of fruits and vegetables in just seconds with less effort. Perfect for making delicious and healthy protein shakes or smoothies. You don’t have to worry for any messy splatters anymore, with its high-torque power base and perfect cyclonic action stainless steel blades running in a 600-watt motor power, you can transform any ingredients into easily-consumed foods, achieve its smooth texture and easily extracting the ingredient’s nutritional value. The NutriBullet NBR-12 12-piece high-speed blender/mixer system by a magic bullet is portable and safe for kids. The item has it all. Extracted food is perfect for everyone. This will allow your body to effortlessly consume the pre-digested food and utilize all of the food’s nutrients that will give you results like healthy and younger looking skin, prevents you from any type of diseases, helps to lose weight as well as relieving joint pains. So if you’re looking for a perfect blender to achieve this, you should own this innovative blender now. If you’re health-conscious that enjoys nutritious food as well as beverages, this product is perfect for you. Can do many tasks like Shredding, Blending, Grinding and Chopping. A rubber gasket or ring might loose. Does not work in 220v. Running in 1100 watts of efficient power with up to 3 speeds, pulse, and single serve functions. The Ninja (BL660) manufactured by Euro-pro will give you effortless blending and pulverize any types of ingredients in seconds. This might be perfect for your smoothies and creamy soups with its 72oz total crushing pitcher. Perfect for on-the-go and nutritious drinks, it offers two 16oz to-go lids, with dishwasher safe and BPA free components that will not cause a complete mess on your counter and definitely makes the cleaning easier. It is powerful and straightforward to use. so definitely visit your nearest appliance store and own this awesome item now. Does not work in 220v ac 50 Hz. The kitchen operation is made easy with this high-rated product with its removable “8” blending arm with fixed blade locks into the motor body. It might be perfect for preparing baby food, milkshakes or soups with its stainless steel S-shaped fixed blades, any types of ingredients can be quickly blends and crushed. Comfortably grip with its soft grip handle. The product also includes whisk attachment that can be perfect for whipping egg whites, creams and mayonnaise to achieve its “fluffiness”. It also offers 2 BFA free and dishwasher safe 1/2-cups with lid locks that is perfect for chopping nuts, cheese, cooked meats, herbs, and so much more. You don’t have to worry with any spill because it would directly set into the chopper bowl. For individual blending, it also included the 3-cup BPA free blending jar to serve or store any mixtures for later use. The 3-speed hand blender might be perfect for any crushing, blending, chopping, pureeing, and whisking jobs. Might not grind uncooked meat. So have you chosen the best blender on the list above? If so, share it with us. All products listed above is absolutely useful and each one has its own different efficient uses and each one has the same goal and that is to produce healthy easily-consumable foods from any types of ingredients, saves time and effortlessly do the different kitchen tools jobs like grinding, chopping, slicing and whisking. The blender model was exceptional due to its wide dimension which is really good for concocting large batches of different kinds of beverages like milkshakes, cocktail drinks, smoothies and even soups for parties or any types of occasions that involves large crowds. With its Total crushing technology, this blender provides remarkably professional blade power which can turn any ingredients into easily-consumed fares. Wow! Good to know the Ninja professional blender made the list. I’ve actually used it and it’s nice, the speed is great for me as I have previously used other ones with a slower speed. Thanks Nancy for this awesome review, now I have the required knowledge in choosing the blender required to serve my parents, as I intend giving them such a gift. Well said Nancy, I really won’t consider going for a blender without a good warranty, and some manufacturers need to place good warranty on products. Hey.. Thanks for the review. I’ve been looking to get a good blender. I’ve carefully reviewed the list here and I would like to go for OXA Powerful, that’s a good one right? Just as you said, flexibility is actually a great consideration while choosing a blender, though some blenders may miss out on their primary requirement due to the need for flexibility. Hi, in regard to nutribullet it works in 220v. I live in Indonesia where 220v is our regular voltage. I didn’t need an extra converter to use my nutribullet.